I read my daughter a story last night, about an elephant that thinks she’s a mouse. It seems reasonable, her big book of knowledge says mice can be grey with big ears and skinny tails. Note to new testers: specifications are seldom sufficient. Think broadly. She moves in with a mouse family but it doesn’t go well. Luckily Granny Mouse has the wisdom of age and experience, works out what’s gone wrong and takes Nelly to the zoo to be with her own kind. 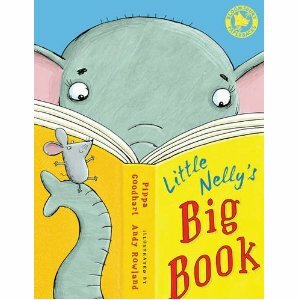 Unfortunately, one of the mice then reads Nelly’s book and gets the idea he’s an elephant. Note to old-hand testers: spread your insight through the team. A few times recently I’ve found myself talking to less-experienced colleagues and realising that I’ve segued from the mouse to the elephant, assuming they were following. They weren’t, and the discussion got confused. We started off on a small acute, practical problem of right now and I expanded out to the big, theoretical potential solution of the future – but staying within the necessary constraints shared by the two. Big picture thinking is a valid way to help reason through to an answer for today, but it’s unfair and unhelpful of me not to be clear, especially because it used to leave me fuming when I was on the receiving end. Note to self: remember that mice can turn into elephants, but please say when the trunk is being stuck on.